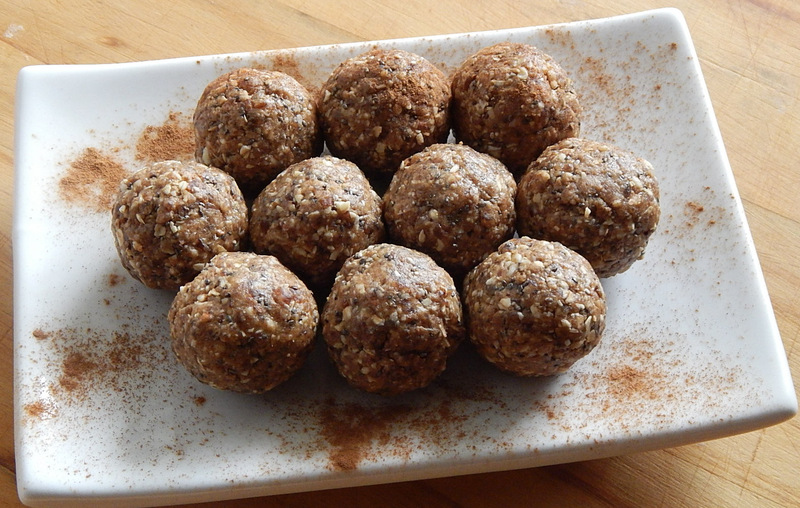 Energy balls are a great healthy snack and my kids love them as much as I do. Not that the kids need anymore energy, but these are filling so they keep the kids full in between meals. With three kids it seems like someone is always hungry, so I am always trying to find healthy snacks that they like. These are perfect. The kids can grab them quickly and they are a little sweet to satisfy their sweet tooth. 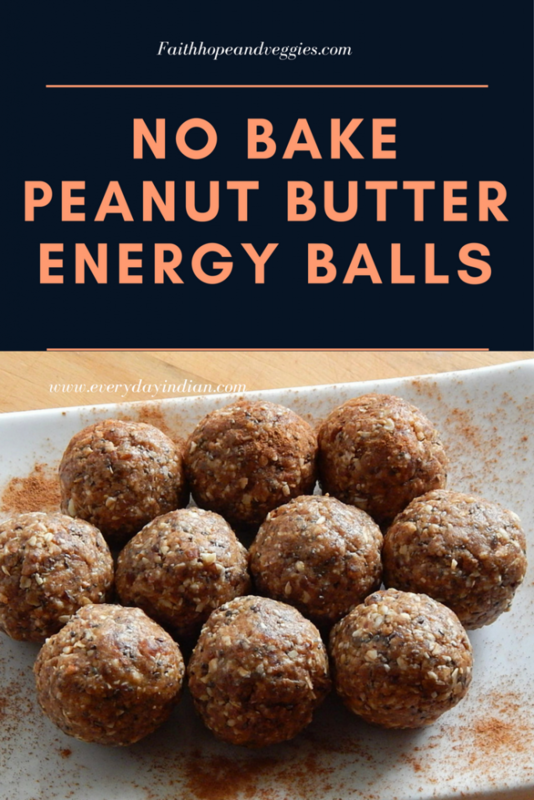 The energy balls get their sweetness from dates and protein from the peanut butter. They are soft with a little crunchiness from the nuts. I use almonds in the recipe, but you can use whatever nuts you like best. You can also add in some chocolate chips. This recipe makes 10-12 balls depending on how big you make them. My kids can eat 1 batch in a day, so I have to double (or triple) the recipe to get enough for a few days. This is also a great recipe to get the kids involved in cooking. It is very easy and it is fun for the kids to help roll the balls. Also try these no bake date cookies. Add the almonds into a food processor. Pulse a few times to start breaking down the nuts. Add in the remaining ingredients. Pulse until everything is finely chopped and combined. Scoop out a heaping tablespoons and roll into a tight balls. 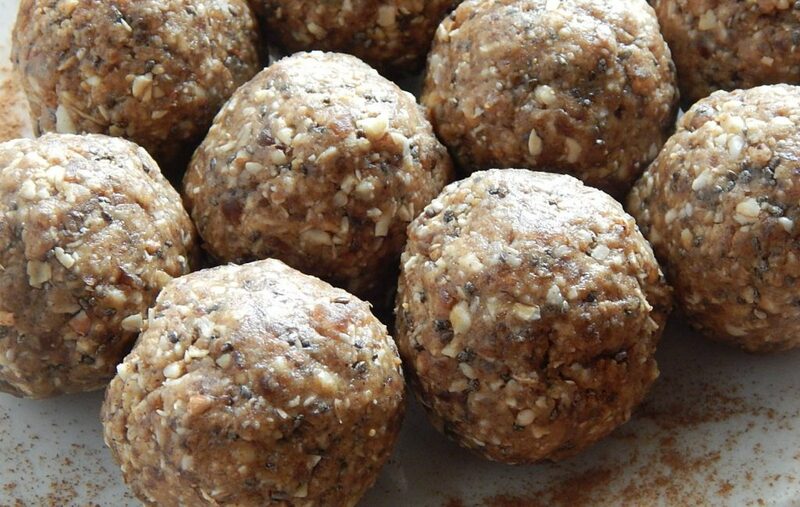 You should get about 10-12 energy balls depending on how big you make them. Store leftovers in a sealed container.